Say goodbye to email storms, annoying reply-all, and all the back-and-forth! Team administrators can use the Team Checklist to request players and or staff to complete tasks, answer questions, or vote and the system tracks the results! Each member has a My Replies page that lists their family's request for replies. From your My Replies page you can quickly review your family's responses to new or outstanding requests. 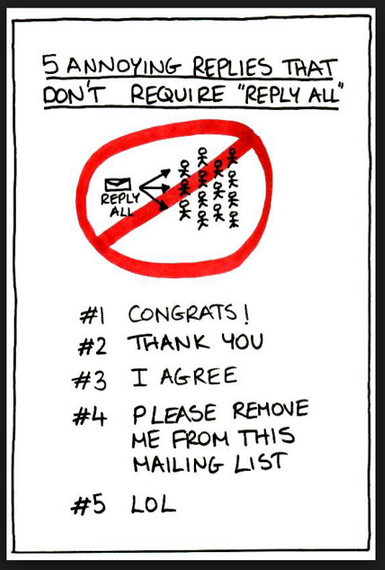 Whenever a new Request for Reply is created you will receive a Please Reply Notification. You can respond to the request using the voting buttons in the email or you can click the link in the email to view the Quick Reply Page to respond. Whenever you or a family member responds to a Request for Response you will receive a Response Confirmation email Notification confirming your response and notifying other family members of the response. To manage the email addresses of members go to My Account. To turn on or off Response Confirmation Notifications go to My Replies. The Team's Reply Tracking Dashboard is only accessible to team Staff and lists the status and counts for all of the team's Please Reply Requests and allows Team Staff to quickly create new Please Reply Requests and manage existing requests. The link to your Team's Reply Tracking Dashboard appears under the Admin tab on your team page. Q) Can I change my response to a Please Reply Request? A) Yes. You can change your response at any time by from any Please Reply Confirmation Notification or Quick Reply page. Q) Can I delete a Please Reply Request from My Replies page? A) No. Only Administrators can delete Please Reply Requests. Q) What happens when an administrator deletes a Please Reply Request? A) When a Please Reply Request is delete it will be removed from both the Team's Reply Tracking Dashboard and the families My Replies page. If you try to access a request that has been deleted via the voting buttons or links in the Please Reply Notification email you will get a message indicating that the request was not found. Q) What if more than one family member responds to a Please Reply Request? A) "Last write wins" If multiple family members respond the last response will be recorded. Q) Can I receive an email notification confirming that my response was received? A) Yes. On your My Replies page click on the More tab and check "Send Confirmation Notification". Q) What email addresses are the Please Reply Confirmation Notifications sent to? A) To view the email address and to add or remove an email address go to My Account and select the profile of the family member. If there are no email addresses associated with the profile Please Reply Confirmation Notifications will be sent to all email addresses on the account. If there are one or more email addresses associated with the family member's profile notifications will only be sent to the email addresses listed.